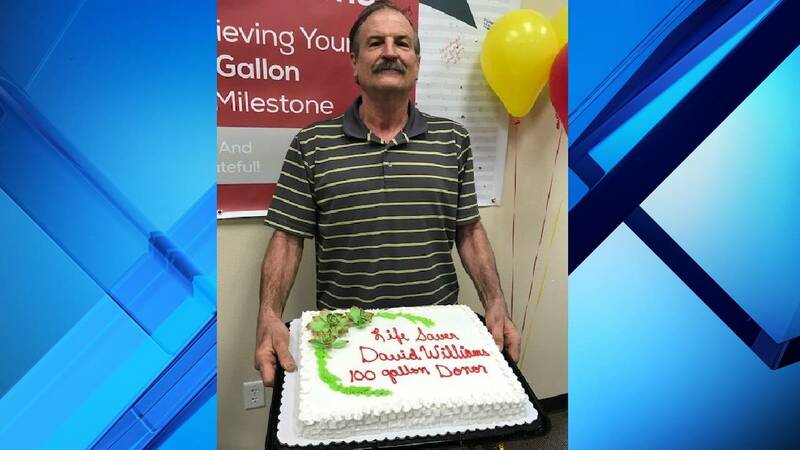 LAKE COUNTY, Fla. - A 62-year-old Tavares man donated his 100th gallon of blood Monday after 22 years of giving to OneBlood. 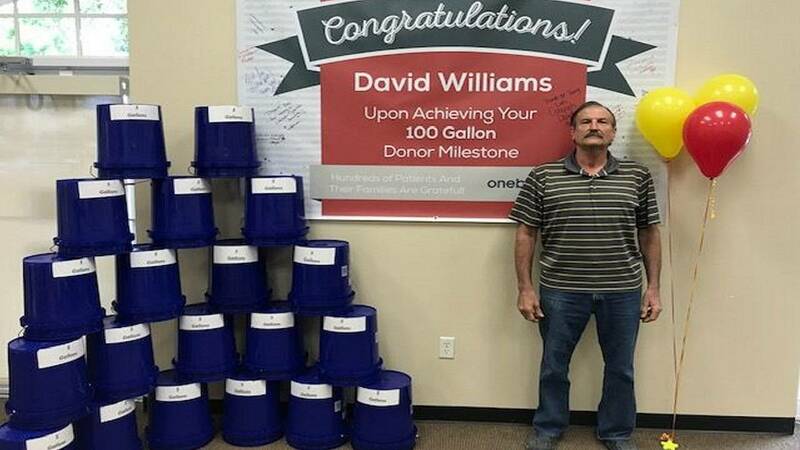 Many of his recipients are cancer patients who rely on transfusions to keep them alive while undergoing their cancer treatments. OneBlood officials said their hospitals are in constant need of platelet donations. You can read more about the donation process on OneBlood's website here. Anyone who is healthy, over the age of 16 and at least 110 pounds can donate blood with a valid photo ID.